Herbal class review of the Herbal Academy‘s “Intermediate Herbal Class” to help you decide which herb school is right for you and also which class delivery form will help you learn the best. As you are looking over the course offerings of the different online herbal schools, you might be a little confused. It’s not quite like comparing apples with apples. This series looks some popular online Herbal Schools and compares their introductory and intermediate courses. As you compare the different schools and the classes they offer, you’ll have confidence knowing which of the course offerings best fit your own goals as a budding herbalist or a blossoming herbal entrepreneur. I’ve taken classes at each of these online schools, so I’ve given you my personal opinion of where I see the strengths and weaknesses of each program. I hope you find this series helpful and that it gives you confidence to choose the herbal study program that is right for you. My goal is to give you self-assurance in growing and using herbs so that you can choose your own path, whether formal education, in-person workshops, books, or self-study. The study of our plant allies and the miracle of healing, is a study that can hold you for a lifetime. 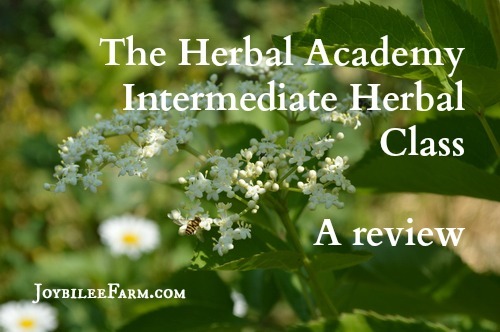 In this post I review the Intermediate Herbal Class from The Herbal Academy, formerly the Herbal Academy of New England (HANES). “The Introductory Herbal Class” and “The Intermediate Herbal Class” together make up the Family Herbalist package. With these two courses and a third class, “The Entrepreneur Herbalist Course”, The Herbal Academy offers the Entrepreneur Hebalist package. These three courses together would be a similar level of herbal knowledge to the Chestnut School of Herbs Herbal Immersion Course. The Vintage Remedies Family Herbalist Course takes in the material in the Herbal Academy’s Introductory and Intermediate Herbalist Courses. Each school has a different emphasis though. They are not equivalent across the board. I offer this comparison so that you understand the limitations and scope of the different online courses offered. 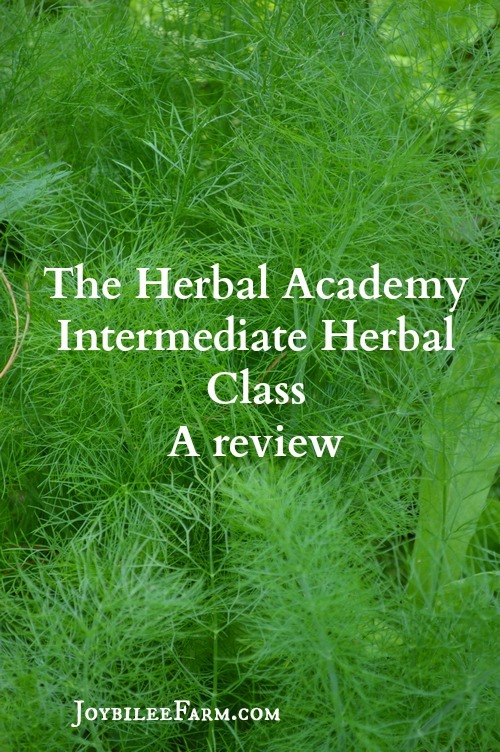 This review covers the Herbal Academy’s Intermediate Herbal Course, the course I took in 2014-2015. The course is 10 units long. The Herbal Academy recommends doing one unit a month so it should take approximately one year to complete the course on a part time basis. Students have access to the course materials for two years from the date in which the course is activated in their student portal on The Herbal Academy website. The course is taught by a variety of instructors that have expertise and experience in the area that they are teaching. There is not one dominant instructor throughout the course. Students benefit from the expertise of herbalists and medical doctors with diverse professional backgrounds. This is one of the strengths of all the Herbal Academy classes. The Intermediate Herbal course is presented with mostly written instruction, punctuated by occasional video, and a great many recipes for herbal medicine, topical medicines, cosmetics, and culinary condiments. Every body system is explained with a detailed anatomy and physiology video taught by a medical doctor. The units focus on one body system each. Around this framework the common problems that might be encountered in that particular body system are presented with possible herbal solutions. When an herb is introduced there is often a partial plant monograph of that herb so that students can begin to collect their own personal Materia Medica. Students will expand their notes on each herb, as they learn more. Students are encouraged to use other sources of information beyond the class notes so that they can expand on their herbal knowledge. Life-long learning is emphasized throughout. Ayurvedic, Chinese Traditional Medicine, and Western herbalist tradition are introduced in the course and synthesized with knowledge from scientific peer reviewed studies. This synthesis of diverse information from several schools of thought gives students a broad knowledge base to pursue personal study after the course is completed. This is one of the course strengths. One thing I enjoyed throughout the course was the introduction of “flip books”. Flip books are printable pdf files full of fun recipes to try, as the student becomes more familiar with the body systems and individual herbs. If you’ve only dabbled in herbal medicine before taking the class, you’ll find you need to build an apothecary cupboard to hold all the fun medicines, finishing salts, lip balms, topical creams and lotions you create during the course. If you enjoy making your own gifts for birthdays and Christmas this course will fill your gift cupboard with amazing and unique gifts to give. You don’t need to take the Introductory Herbal Course before taking the Intermediate Herbalist course if you have experience making herbal tinctures, vinegars, honeys, and cosmetics. And know how to do herbal research to understand herbal actions and herbal energetics. But if you are just beginning your study of herbs, you may be more comfortable in the beginner herbalist course before diving in to the intermediate course. By the 3rd lesson in the Intermediate course you are deep into human anatomy and physiology. Someone who is just becoming familiar with how herbs work, may become overwhelmed in the advanced science lessons. On the other hand, those with a scientific background, who have courses in human anatomy and physiology, will be able to pick up the herbal knowledge they need from this course, without studying the beginner course first. What learning style is this course predominantly catering to? This course is well suited to visual learners. Each unit can be printed as a pdf file. Only the videos are not transcribed for printing. Auditory learners will be able to read the course material aloud to master the material. While there are videos in each unit, the majority of the course is presented in print format with photographs. Very little of the actual course content is presented in audio format. Auditory learners will be the most disadvantaged by the way the course material is presented. The lessons are short with lots of hands-on activity so kinesthetic learners will not be overwhelmed. What does this course do well? I love that there are several instructors presenting their own areas of expertise in the course. When you have a question, the instructor with the expertise in that area is called on to answer the question. You do receive a personal answer to your question. Not just a generic answer. The course is colourful, well put together, and well thought out. The course is complete on its own, but also an integral part of each of the advance study programs offered by The Herbal Academy. The Intermediate Herbal course is put together with the thought of where the student will go next in their studies, once this course is completed. This course lays the foundation for the next level of herbal education, whether the student desires to work toward a certificate along the entrepreneur herbalist path, the professional herbalist path, or the clinical herbalist path. For students who simply want to gain a strong foundation in herbalism for making herbal remedies for their own family members, the Intermediate herbalist course fulfills the need. The synthesis of traditional Western Herbalism, Ayurvedic, and Traditional Chinese Medicine with the scientific, evidence-based use of herbs is a major strength of this class. I personally felt that this class experience was warmer. There is a forum and a Facebook Group where students can ask questions and offer comments as they go through the course work. Questions are answered cordially and encouragingly, by the instructors, in the private forum and the Facebook Group. I felt that the instructors were more approachable than my experience with the Vintage Remedies School. The scholarship and practical experience in the instruction is emphasized. The intermediate course gives the student a broad introduction to different schools of thought in herbal medicine. Some of these schools of thought are contradictory. The contradictions are discussed rather than ignorned. 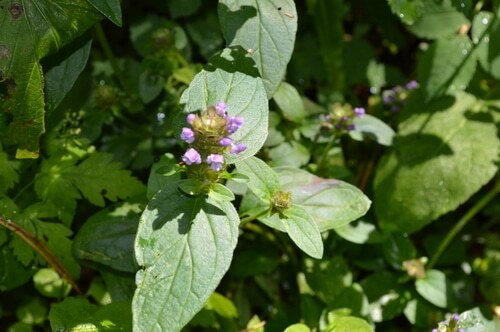 Concerns about endangered plant species were covered and students were encouraged to join United Plant Savers to help in the conservations of endangered wild medicinal herbs. Using herbs during pregnancy, child birth, and nursing were covered as well as herb safety with infants and children. Scientific studies on herb safety and efficacy helped to solidify the knowledge of herb safety. 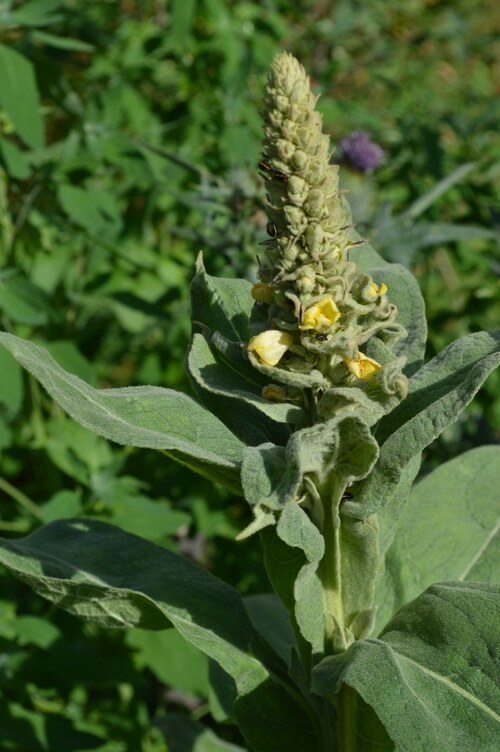 For an introduction to herbal use for women’s health and men’s health see this free lesson from the Introductory Herbal Course, and see if this style of learning is right for you. Where are the gaps in what this class covers? The course was short on growing and harvesting fresh herbs or wildcrafting, a topic that The Chestnut School of Herbal Medicine covers extremely well.. I did have questions about plant identification during the course that were not answered in the course material or in the forums. These gaps can be met through other online courses or self-study. 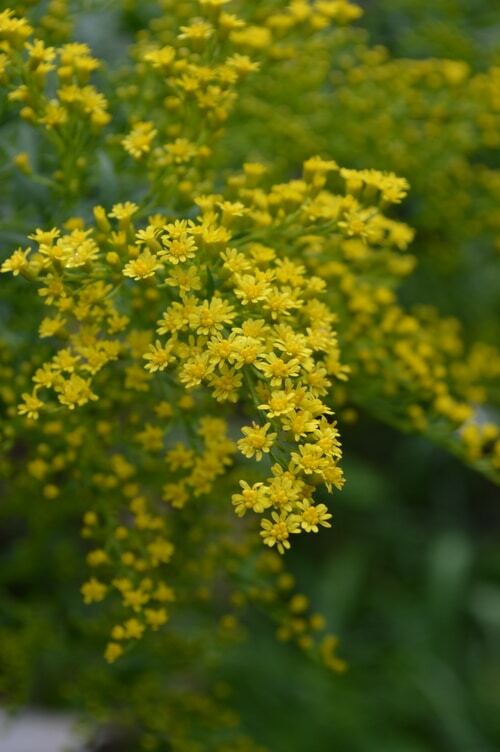 The course encourages making herbal medicine from dried herbs rather than fresh. Apartment dwellers would be just as comfortable studying the course materials as the seasoned homesteader with vast amounts of garden space. This class is a level class that fits into all of The Herbal Academy’s advanced herbalist paths. Some of the gaps in the knowledge base of this course will be covered in The Herbal Academy’s more advanced classes. For a greater emphasis on growing herbs and using herbs in permaculture see The Chestnut School of Herbal Medicine Herbal Immersion Program. What challenges will someone face in completing the course? The course work is 10 units long and the student has a full 2 years to complete the material, before they lose access to the course. However, the two year count down doesn’t begin until the course is activated on the School’s website. Many students purchase the course when it goes on sale, and hold it in their student account until they are ready to begin. This is a great strategy if you know that you are going to take several courses. The Herbal Academy has several sales each year. What about the tests? Would someone with test anxiety have difficulty completing the course requirements? The tests for the Intermediate Course are multiple choice and short. Usually around 25 questions long. Students must have 80% in the test in order to go on to the next unit. However, the test can be retaken as often as you need to so that you are assured a pass. A sample test is included in the pdf document for each unit. I found it helpful to use the test as a study guide as I was reading each lesson. I would write down my answers to the test questions before I studied the unit, in pencil. Then as I was studying each unit I would note where my initial answer was wrong, and focus on learning that area in more detail. I may consult my herbal library books or scientific studies to gain a deeper understanding of the material. Should you enroll in the Herbal Academies Intermediate Herbal Class? Only you can decide, based on your own learning style, and your motivation which online herbal program is right for you. To help guide your decision try out this actual lesson from the Herbal Academy‘s Introductory Herbal Course. IMO, this class best suits a visual learner with a desire for a well-rounded, bookish education in herbs, who likes to do kitchen chemistry. It is an excellent beginning to a career in herbs or herbal medicine. It’s also an amazing opportunity for personal enrichment at a very reasonable price. The average distance learning university course is about $1000 for 3 credit hours today. While this course is not accredited, students who complete the advanced herbalist program and 400 hours of clinical apprenticeship are qualified to receive professional membership. Not Yet Ready for the Intermediate Class? The Herbal Academy’s Introductory Herbal Class is for those who are new to herbs and all they have to offer. 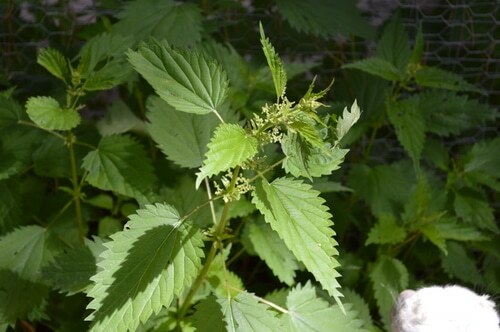 Try this sample lesson on Women’s Health and Men’s Health and learn about our herbal allies Nettles, Red Clover, Chaste Berry, Red Raspberry, Yarrow, Shepherd’s Purse, Black Hawthorn, Chamomile, and Saw Palmetto, to name just a few of the herbs in this lesson. Or Join the Herbarium and gain access to the amazing resources that are updated monthly, for individualized self study of herbs. With the Herbarium you will guide your own study. I highly recommend joining the Herbarium membership even if you choose to study at another school. The information there is very beneficial while you research your herbal allies. 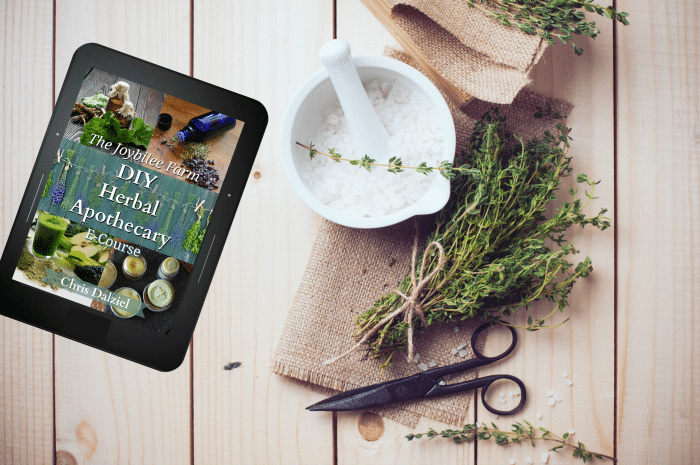 It includes a searchable data base and several downloadable ebooks and ezines to help you focus on one herb at a time, in your studies. You can join the Herbarium here. For those brand new to herbs The Joybilee Farm DIY Apothecary Course is a practical introduction to using herbs for first aid and health maintenance. Those who complete the course will have a good start in using herbs in their family. Disclaimer: I received complimentary tuition in the Intermediate Herbal course in 2014. This was in return for blogging about my experience in the course in 2014. 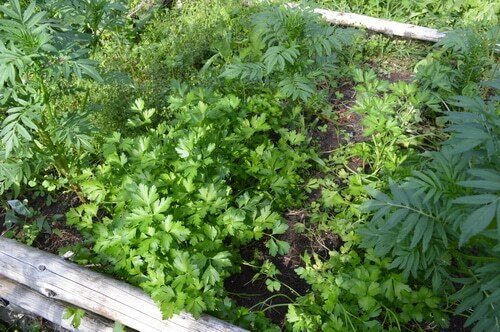 Joybilee Farm has an affiliate relationship with The Herbal Academy. I was not required by the Herbal Academy to write this review, nor was I required to give a favourable opinion of the class. This review represents my honest opinion of the course. This post contains affiliate links. Thank you so much for your review. My plan is to go for herbal academy’s entrepreneuship herbal course but I just need your advice on whether to dive straight in or is it better to start with their introductory class? If you have herbal experience but no formal herbal education, I’d recommend starting with the Intermediate course at least rather than diving right into the entrepreneur course. The Entrepreneur course assumes knowledge of herbs and physiology. If you have very little herbal education, then you would benefit from beginning at the beginning with the introductory course. It’s a fun course and will help you develop good study habits to carry you through all three courses. Let me know what you decide to do. Thank you for such an in-depth review. I’m leaning towards the Herbal Academy because the coursework structure suits my needs. I’m interested in learning how to utilize herbs to treat and heal conditions/ailments naturally. I’d like to sign up when they courses go on sale. Is there a particular time of year to look out for this or do I just need to keep checking periodically? The Herbal Academy often has a sale around mid August to early September, when back-to-school time comes around. I am looking to enrol in the Chestnut Immersion program since I am already working in permaculture and specially food forest. I am just wondering about the depth on the ”technical” aspect. Physiology, anatomy, biochemistry material medica et the interaction between plants etc. How is this covered ? Love your reviews! I am in Queensland, Australia would either of the Chestnut or Herbal Academy courses be able to be done here? What is the difference with these and Master Herbalist, we have 1 Course here that does Master Herbalist but not through an actual herbal only college. I love the look of both. I am not sure which would suit me best. I know there are people in both classes/schools that live in Australia. A couple things to consider for you. Are you able to grow your own herbs at this time? Or are you without garden space? If you can then the Chestnut School would be quite valuable to you and you’d save quite a bit of money by growing your own herbs and learning the ins and outs of propagation, siting, and choosing bioregional herbs for your own climate. If you have to order herbs to complete the assignments then you’d find The herbal academy more suited to your situation, as they don’t touch on growing herbs. Chestnut School focuses about half their studies on growing related topics — herb and plant centred. While The Herbal academy focuses their studies on the theories of herbal medicine and the conditions people might experience and which herbs to use for those conditions. Also Chestnut has a bit of “woowoo” in their courses that is toned down quite a bit in The Herbal Academy courses. So if you are put off by “woowoo” you might want to choose a different program than Chestnut. One more thing, you can do a little from one school and a little from the other, or even another program. I’ve done courses in both and there is no conflict. Do you believe that the Chestnut School of Herbal Medicine or The Entrepreneur Herbalist Package is better is aspect of someone wanting to learn as much about herbs, growing them and becoming an entrepreneur? If you are a beginner, I think the Chestnut School will cover all your bases. This class includes a month of entrepeneurial herbalism. If you are already advanced in your herbal knowledge, you’ll save money if you go with The Herbal Academy. There’s no shortcut with the Chestnut School. Everyone starts at the same spot regardless of your experience. Both are good foundations for those whose final goal is clinical herbalist. Thank you! I was trying to decide to go with The Herbal Academy or Chestnut School of herbs. I think I have made my decision! I hope you enjoy the program that you chose. I’m glad I could help you decide. Omg my gosh! Thank you for this SO much! I was going to go with herbal academy but you said that with Chesnut you get the price of one. Thank you! So happy I did my research. I was very confused and didn’t know which one to do it was really stressing me out. Hello! Thank you for writing this review. I’m wondering if the chestnut school also includes Ayurvedic and TCM traditions? I’m also wondering which of the schools do you feel exposed you to more case studies? Thanks for your review! What is the benefit of an accredited school? Is there a reliable list of accredited herbalist training programs? I am a novice but am interested in eventually opening a small shop. Any of these schools will give you the knowledge you need to create your own products and sell them. There isn’t any formal accreditation body for herbalists although there are accredited masters programs for branches of herbal studies such as ethnobotany. However, no school will “qualify” you to “practice” medicine in the USA. In Canada there are schools for Traditional Chinese Medicine, and graduating from those schools does qualify you to practice TCM as a TCM doctor. Every country is different so you’ll need to research the rules where you live. Do you recommend taking both types of courses? At the Chestnut school and Herbal Academy? The Introduction and the Intermediate courses at Herbal Academy are similar to the Chestnut School, except that the Herbal Immersion at the Chestnut School includes more information about growing herbs. I think you only need one or the other. They include a lot of the same information. Thank you so much for doing this. I have a degree in Radiologic Technology with a minor in Human Biology. I loved my studies, but hated the treatment of patients coming through conventional medical facilities. I have long wanted to apply my current knowledge and abilities to herbal medicine. I love the sound of the integrated anatomy and physiology in the online Intermediate Herbal Program through The Herbal Academy. At the same time, as an avid gardener of many years I want the advantage of the hand on growing knowledge of herbs at The Chestnut School. I am considering taking Intermediate Herbal Program first and then The Chestnut School. You said that The Intermediate Herbal Program goes on sale. Is that at a certain time of year? How would I know when? I’ve seen it go on sale for 15% off in late August, December and in the beginning of the year. But they don’t tell me ahead of time. So it’s a waiting game. Note that Chestnut’s Immersion program also has the anatomy and physiology in it. I’m not sure if I made that clear. So, is identifying herbs and gardening covered in the advanced courses of The Herbal Academy? I’m really interested in enrolling in their courses, but I also would like to learn how to garden them as well.. I’m very novice when it comes to growing and identifying, but I am educated a little on making tinctures with some common herbs. Amanda, no there is no gardening in the Herbal Academy courses right now. I am taking the Herbal Immersion course from Chestnut School of Herbal Medicine and it is gardening focused. It’s a 2 year program and well worth the investment. The full course includes the Herbal Medicine Making course so you get two courses for the price of one. And it goes from planting the seed to siting the plants and harvesting and making the herbal medicine, plus all the body systems that The Herbal Academy Intermediate course goes into. If you are looking for gardening with herbs and making herbal medicine you’d be happier with the Chestnut School Course. Here’s the link. Thank you so much for the review. I was grateful to find such a well written review of the two schools I am looking into. Did you take courses at the Chestnut school and Herbal Academy at the same time? Do you think the load would be too much to do both schools simultaneously? Hi, Kathy, no I took the Intermediate course with The Herbal Academy two years before enrolling in the Chestnut School Course. The Chestnut School Course covers The Herbal Academy Beginner and Intermediate courses plus adds the gardening component, which the Herbal Academy doesn’t touch on. (I believe they are thinking of adding a gardening course). Plus the Chestnut School touches on Entrepeneurship in herbs. This is a separate course in The Herbal Academy. If you wanted to study full time you could take the courses simultaneously. I spent about 10 hours a month on The Herbal Academy Course work and did two units a month. The Chestnut School Course is a bit more intense with more audio visuals. The Herbal Academy course was more just reading the lessons, and the occassional video. Also there is more hands on assignments in the Chestnut School so that course takes more time. I believe you could manage a lesson in 3 hours, but the actual herb observation might take more time over a season, since there is a gardening component, with the Chestnut School. And there is the spiritual component woven through the Chestnut School materials, so be aware of that.